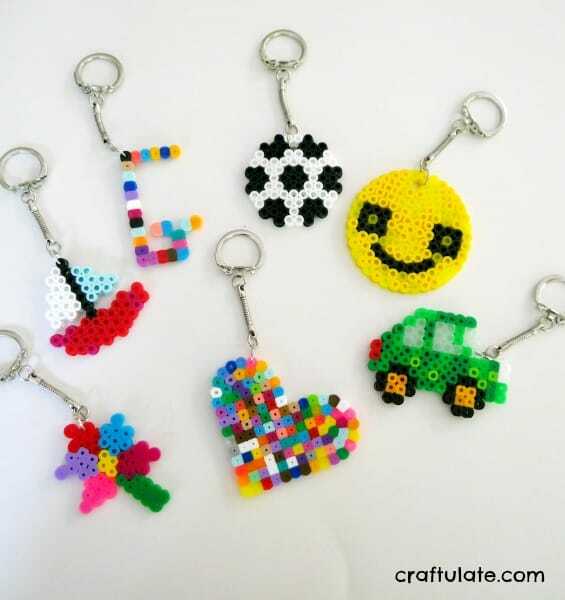 These perler bead keychains are great fun for kids to make and then can be hung from keys or zipper pulls. Fun back to school craft or teacher gift idea! 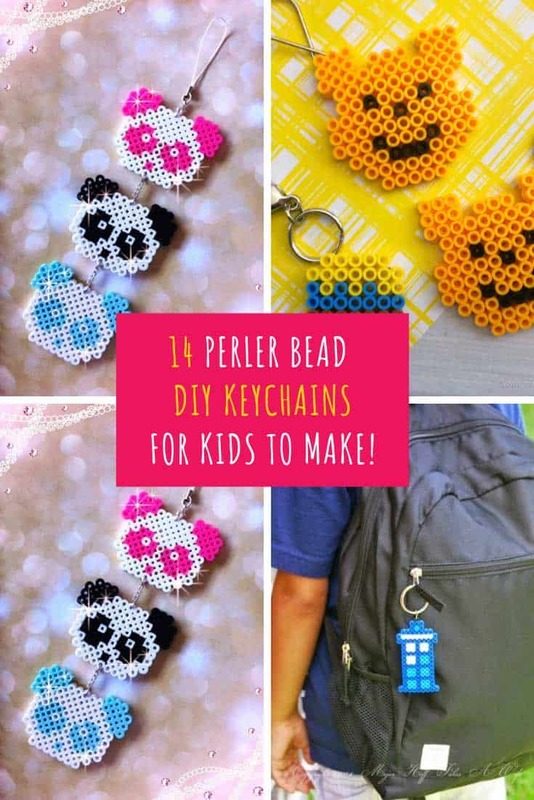 If you’re looking for a craft project to keep the kids entertained this weekend pull out your box of beads because we’ve rounded up 14 fun perler bead keychain ideas for them to make. I found everything from fun summer fruit charms to Doctor Who’s Tardis so there is something in this list for boys and girls! 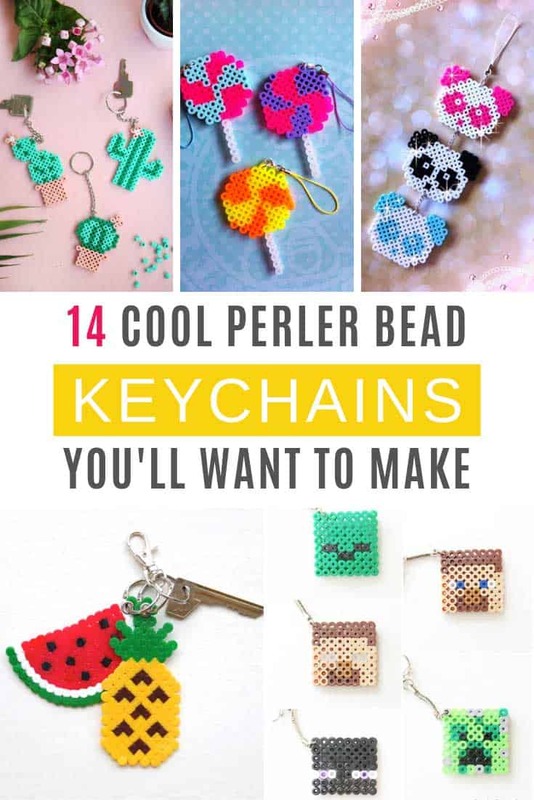 Crafting with perler beads really helps to relax your mind because you’re focusing on those tiny beads and matching the pattern. It’s great find motor practice for kids too, and helps them to develop patience and persistence. 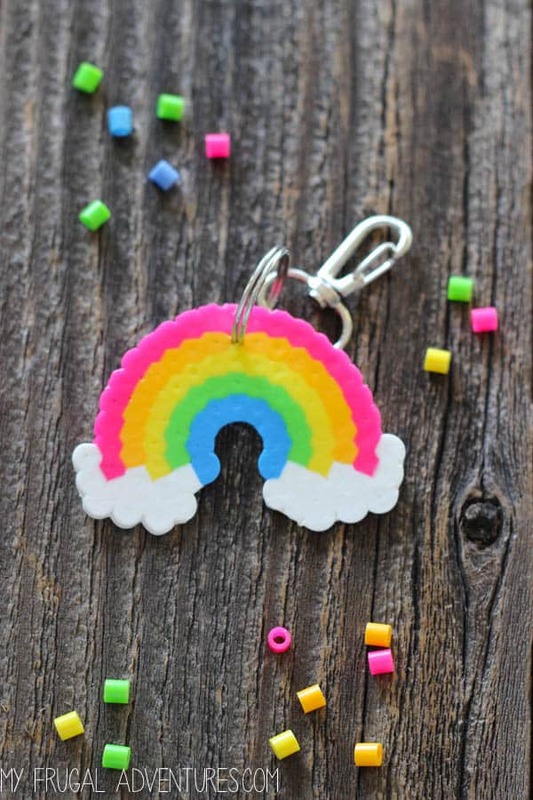 So why not spend some time together creating some of these fun keyfobs this weekend! 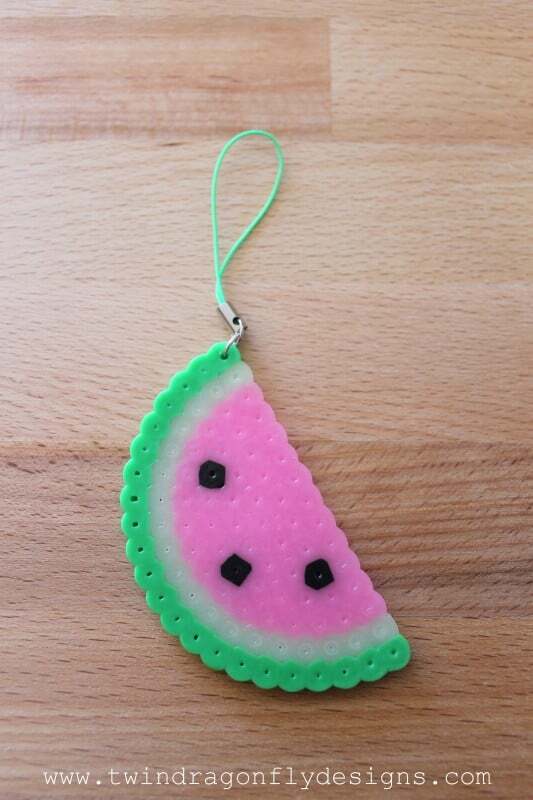 This watermelon slice will make the perfect summer keychain don’t you think? We don’t have any glow in the dark beads in our stash but I think I just found the perfect excuse to go and add some to my next Amazon order! Of course you could just use a clear or even a white bead in their place. Oh look here’s some more fruity options for you! Another watermelon slice but this time you can also make a pineapple, a strawberry and a kiwi slice. 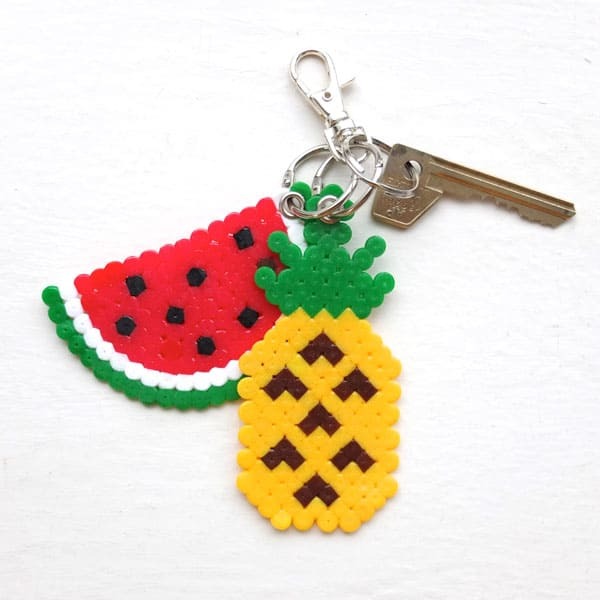 I love the idea of mixing and matching them on your keys. And of course they make a cute bag charm too! We can totally stay in the summer groove with these fun cactus designs! 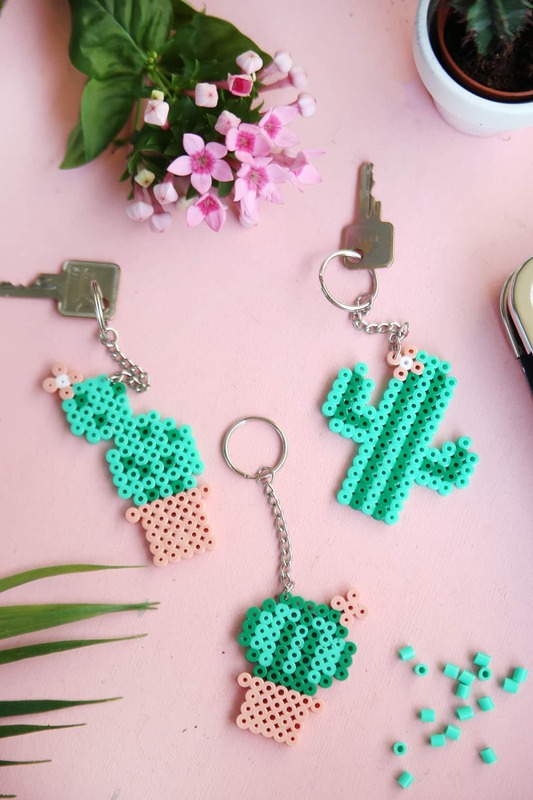 I love that there are three different designs to make, so it’s up to you whether you want a potted succulent or a desert cactus on your keychain! 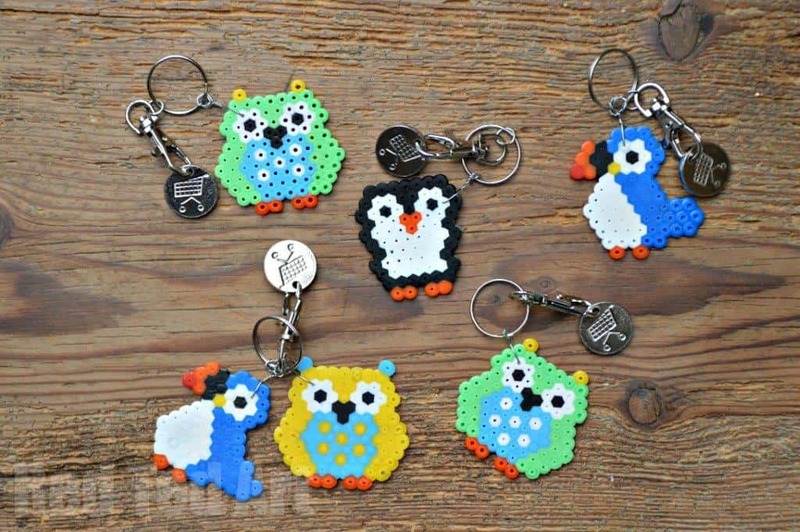 Take a look at this video to see how to make a whole bunch of cute little animal keychains. There’s a fox, tortoise, horse, parrot, elephant, koala, owl and a panda! And here’s another set of different ideas to inspire you. I love the little car and think I might give that one a go this afternoon! Oh here’s a fun idea! 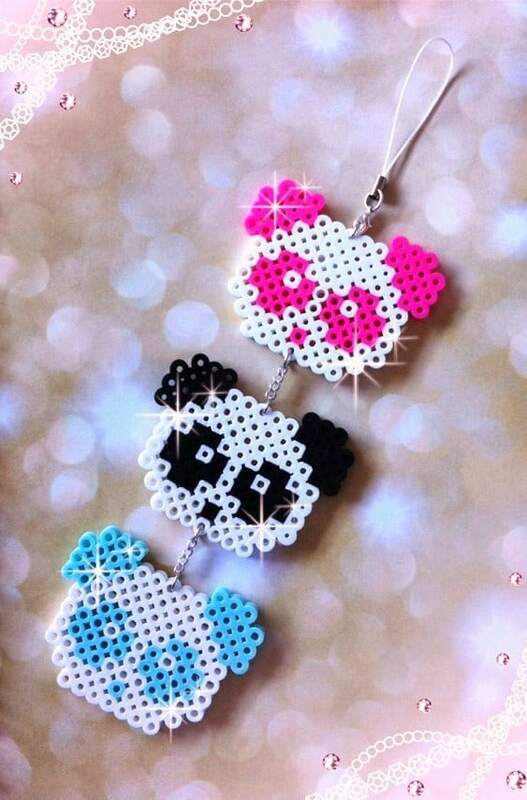 Make three little panda heads and then join them together to make a longer keychain. You could do this with many of the designs in this collection! 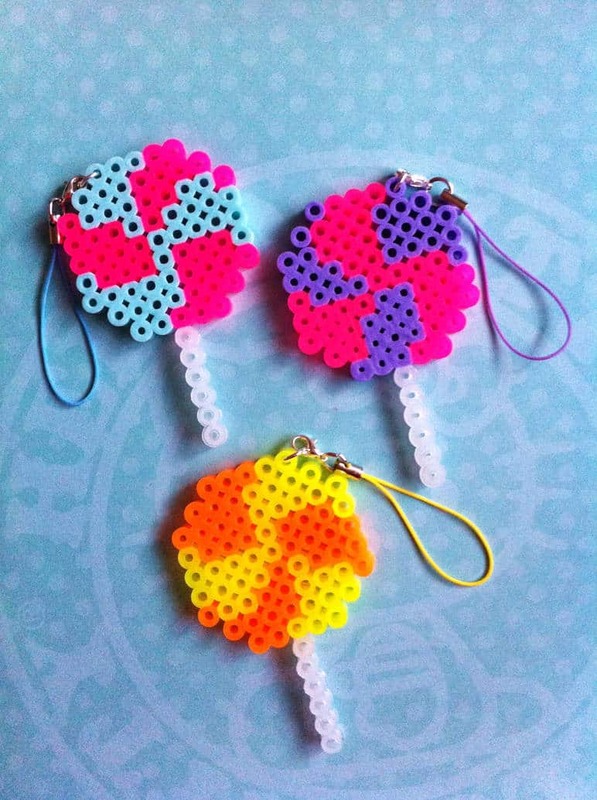 These swirly lollipops are super cute! I think I might make the sticks three beads wide though because as a keychain they might snap off a little easily! 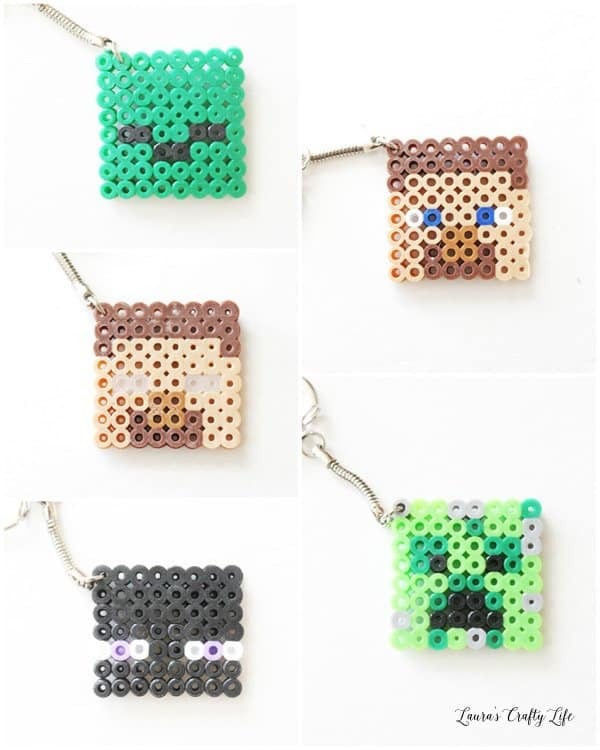 My daughter is a HUGE Minecraft fan so when she spotted these perler bead character patterns she told me I had to share them with you! 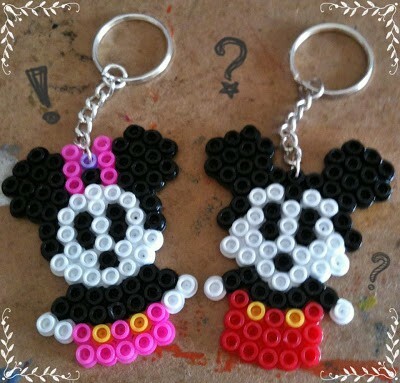 We made these Mickey and Minnie keychains to use as bag tags for our trip to Disney World a couple of years ago. So cute! And here’s another Disney keychain for you! 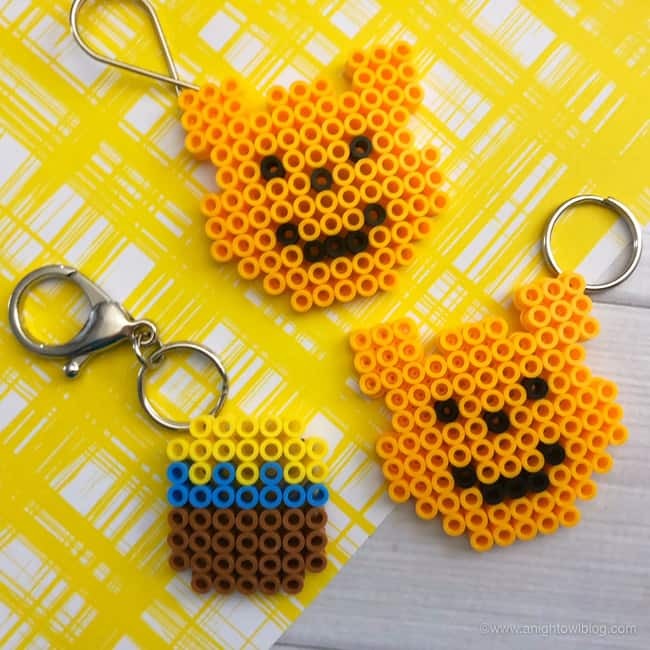 These Winnie the Pooh heads are adorable, and I love the little honey pot too! Oh how SWEET are these little birds! There’s an owl, a puffin and a penguin and they’re perfect for back to school backpacks as well as keeping your keys safe! We’ve made this little rainbow with the puffy white clouds and it makes me smile every time I look at it so it just had to make the list for today’s collection! Do you dream of owning a retro camper? 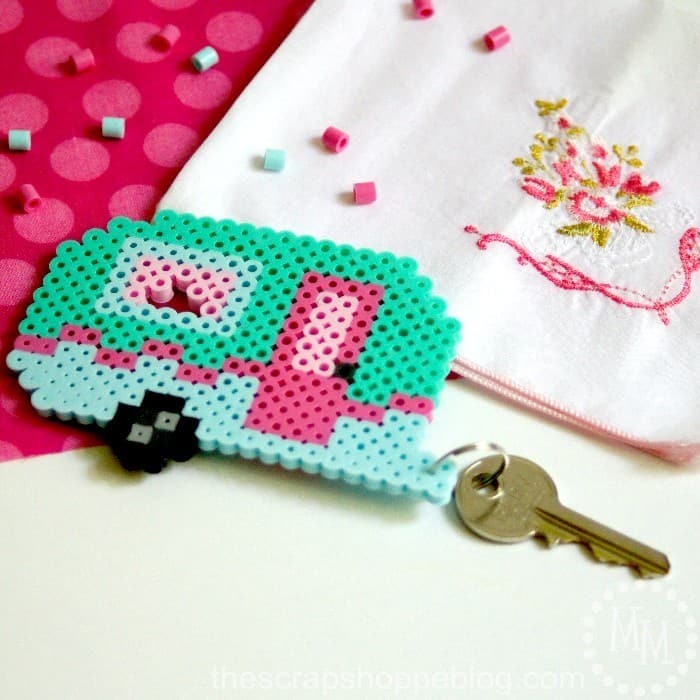 How about making one of these sweet keychains to inspire you to make that dream happen! You know I always worry about not sharing enough boy-friendly crafts around here so when I saw this fabulous Tardis I knew I just had to share it with you! 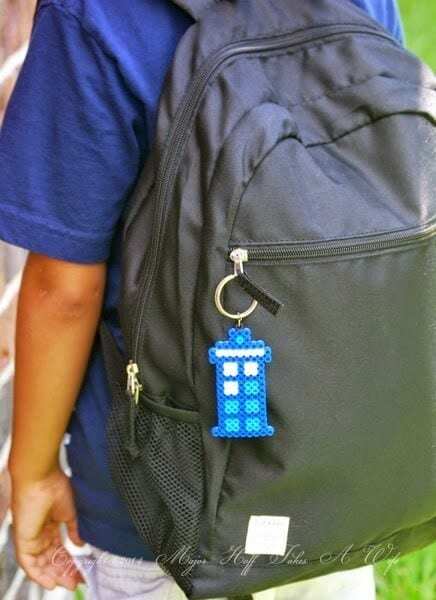 This would be a great back to school project for your son to do so he can use it as a bag tag. He might even want to make some for his friends! Next PostNext 10 Crystal Bullet Journal Weekly Spread Ideas You Need to Copy!